Flexible: ideal for both square or round 3:1 pitch hole options. Secure: ideal for confidential documents as pages can only be removed by destruction of the wireitself. Full range of sizes and colours available. 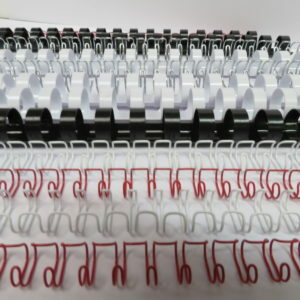 For wire binding larger documents, please refer to 2:1 Pitch Wires which can bind up to 250 sheets.